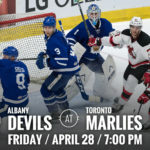 ALBANY, NY — The Albany Devils are in a must-win situation when they hit the ice against the Toronto Marlies for Game 6 of the North Division Final. 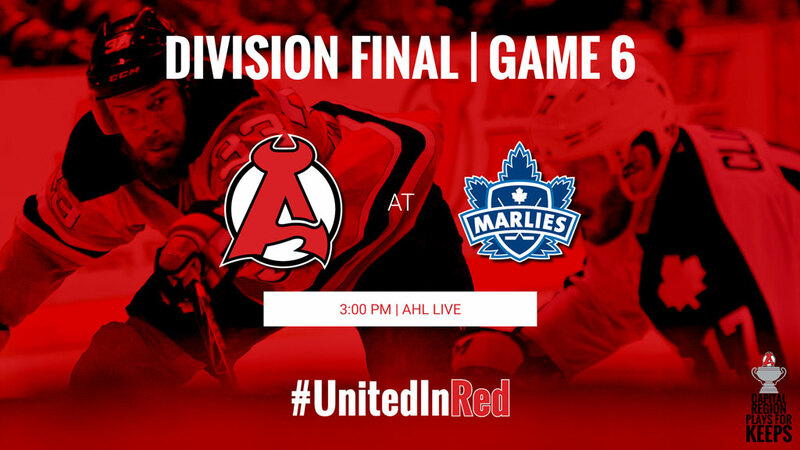 Puck drop is at 3 pm Saturday at Ricoh Coliseum. 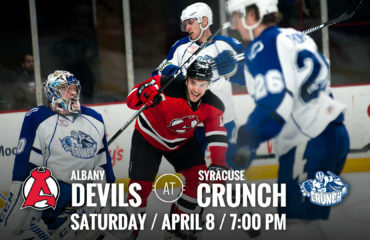 The Devils, who won Games 1 and 3, have dropped the last two contests and trail in the series, 3-2. 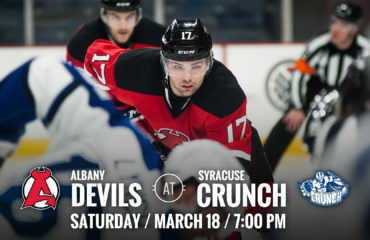 Albany went 19-13-5-1 on the road during the regular season, while Toronto was 27-9-2-0 at home. 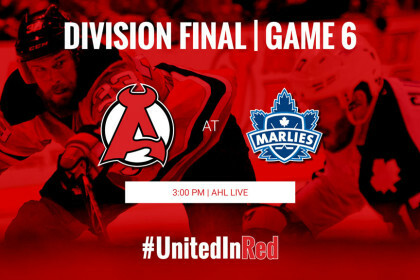 During the postseason, the Devils are 2-2 on the road, while the Marlies are 4-1 at Ricoh Coliseum. 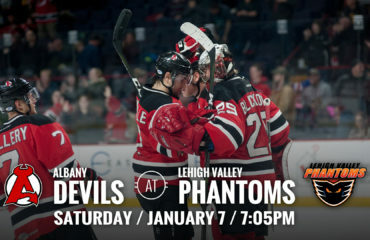 • Albany: Scott Wedgewood has played in all nine playoffs games for the Devils so far and is expected to get the start for Game 6. 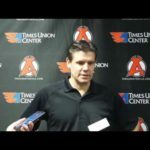 During the regular season, the Brampton, ON native had 14 wins, two shutouts, a 1.55 goals-against average and a .933 save percentage. 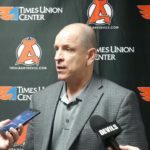 During the first seven postseason games, Wedgewood went 5-2 with a 2.13 goals-against average and a .918 save percentage. 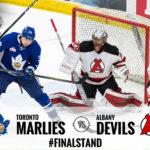 • Toronto: Mark Arcobello has five points during the last two games, producing a goal and four assists. 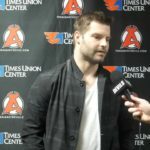 His eight points this postseason are tied for seventh most in the AHL. Connor Carrick is second on that list with a team-high 13 points, producing five goals and eight helpers.